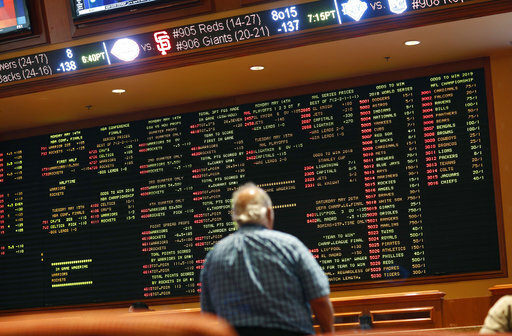 HARRISBURG, PA (WSKG) — On the heels of a US Supreme Court decision last month that opened the door to sports betting in all states, Pennsylvania’s Gaming Control Board is starting to release initial regulations for the new gambling market. Lawmakers already legalized sports betting on the state level last year in anticipation of the court’s decision. The new rules are a first step in a regulatory rollout that’s expected to take at least all summer. Gaming Control Board Spokesman Doug Harbach said interested parties can start sending in comments for the board to consider in mid-June, but there’s still no timeline for when casinos will actually be able to launch sports betting. Any casino in the commonwealth can eventually apply for a license—though several have complained about lawmakers’ decision to make them pay a $10 million fee, plus a 36 percent tax rate. Lawmakers are banking on new revenue from the expansion. But Harbach noted, nothing is certain. “I don’t know that anybody knows—they talk about $150 billion of underground sports wagering that’s going on in the United States. How much of that is going to rise up into legalized sports wagering, it’s hard to say right now,” he said. Any regulations rolled out by the control board are temporary. After two years, they’ll go to the state’s regulatory commission for full approval.